Rebecca is a partner at international aviation and aerospace law firm, HodgkinsonJohnston. Rebecca was formerly an aviation and corporate advisory lawyer at Clayton Utz. 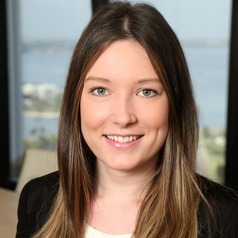 Rebecca advises Australian and international clients on aviation matters including legislative and regulatory matters, sale and purchase of aircraft and safety and security issues. Rebecca is an editor of the Aviation Law Association of Australia and New Zealand's Aviation Briefs and also an editor of Aviation and Climate Change Law & Policy, produced in conjunction with US law firm Condon & Forsyth.